"The Information" is Beck's most exciting record yet and it comes with never-been-seen-before visuals, and the most unique album packaging in years. 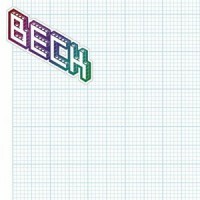 Ever growing and expanding, Beck manages to stay familiar and fresh. First single "Cellphone's Dead" is Beck at his electro-rap best. Other highlights include "Strange Apparition", US single "Nausea" and the epic "Horrible Fanfare/Landslide/Exoskeleton" - ten plus minutes of dub infected eeriness! And just to prove that Beck's imagination is not limited to his music, the album itself will come with a blank CD sleeve and a sheet of stickers for the listener to make their own booklet.